If you’re looking for the best places to visit in Southeast Asia, then you may have already stumbled upon quite a few ranked listicles. Most of these feature the same 10 or so most iconic sites, but often these are not necessarily the best places to go (just the most famous ones). What I thought I’d do instead is share my overall impressions of each country in Southeast Asia, which can then help you jump off into further research on countries or regions that you like the sound of. I think this is really the best method for finding interesting places that aren’t yet in all the top 10’s! While I’ve not been everywhere (has anyone? ), I’ve travelled the region for a combined 15 months on trips from 2013 to 2019. 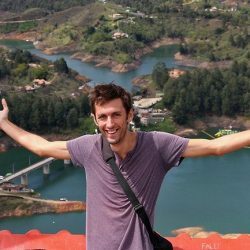 Advice for creating a realistic travel route. If you read just one other post, make it this one! How to deal with flesh-eating bacteria — and other hard-won advice. While the region is cheap overall, some places can still be expensive. Use these charts and average prices to create your budget. I still remember what it was like to arrive in Bangkok for the first time. The temples, the neon lights, the smells of cooking oil from street food vendors, the tuk-tuk taxis whizzing past… it was like stepping into a whole new world. Even though my heart now beats faster for more offbeat destinations, I have to recognize what an amazing country Thailand still is. Southeast Asia can be bewildering at first, but Thailand lets you ease into things; it’s exotic enough to feel adventurous, but the travel logistics are easy, and the famed Thai hospitality will make you feel at home even when almost nothing is familiar. That said, over 35 million people visit this country every year, and in all honesty, it shows — especially along the beaches and islands in the south, where mass tourism has truly taken its toll. You will rarely be alone. That, of course, can also be a good thing — and it’s no coincidence that so many (first time) solo travellers love Thailand so much. To get the best of Thailand you have to select your destinations wisely. For example, if you don’t like mass tourism, don’t go to Phuket or Koh Phi Phi. Then again, if you’re coming to Thailand as a first-time backpacker you may just as well find yourself planning very little at all and simply going along the well-established circuit. Chances are that you’ll have a great time! 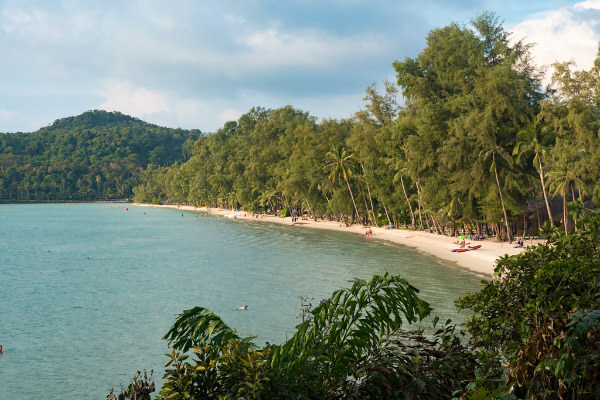 If you’re simply looking for some sand and sun, then Thailand has got you covered. 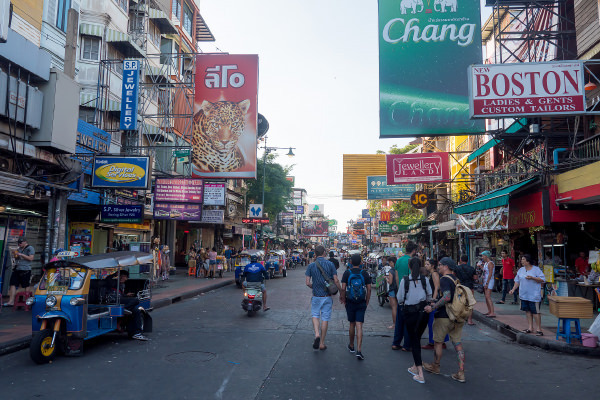 There is also a renowned party scene, particularly in Bangkok (Khaosan Road) and on the islands of Koh Phangan and Koh Phi Phi, attracting many younger holidayers and gap year travellers. Interested in a more authentic (or simply quieter) Thailand? It’s still there if you know where to look. I’ve much enjoyed exploring the quieter southeastern parts near Cambodia, especially the town of Trat and the Koh Chang archipelago. I think this little corner is secretly the best part of southern Thailand. Northern Thailand also has plenty of off-the-beaten-track places. Since Bangkok has a lot of international flight connections, Thailand makes for as a convenient gateway to the rest of Southeast Asia. And to so many globetrotters addicted to travel (like me), Thailand was their first rite of passage. It may not be the world’s most original or adventurous choice, but who cares? It’s easy, fun, a little wild (in places), and truly has something for everyone. For more tips, see my travel guide to Thailand and sample itinerary. There’s something special about Laos that I just love. If you’re looking for a bit more authenticity and calm than you’ll typically find in Thailand, you might want to start looking here. It’s seriously amazing, though I’ll admit that Laos probably appeals mostly to a certain type of traveller. Sure, Laos lacks iconic sights, the way Vietnam has Ha Long Bay or Cambodia has the vast temples of Angkor Wat. There is nothing necessarily ‘epic’ that draws people to it, but that’s also exactly why it’s so good to travel there. 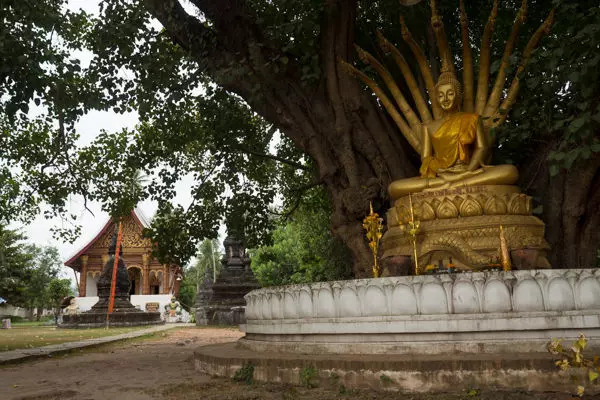 Go there for its nature, its Buddhist calm, and Mekong river views. 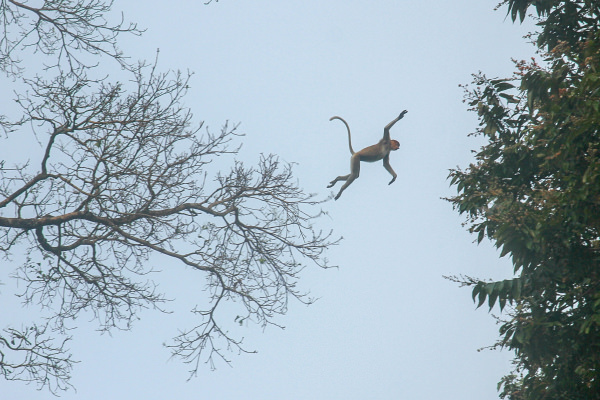 I think Laos is the destination for adventurers. Thanks to its pristine jungles and karst mountain landscapes, it may well be the best country in mainland Southeast Asia for hiking and trekking. It’s also an excellent place for other outdoor activities like kayaking, zip-lining, caving, and rock climbing. Old guidebooks talk about how difficult Laos is to travel. Actually, the infrastructure has improved, and it’s now quite easily accessible. You might still need a bit of patience, but travel times have improved, and there are now bridges connecting Laos with Thailand at the borders. Don’t miss the lazy 4000 islands archipelago in the Mekong, or rent a motorbike and explore the countryside independently. 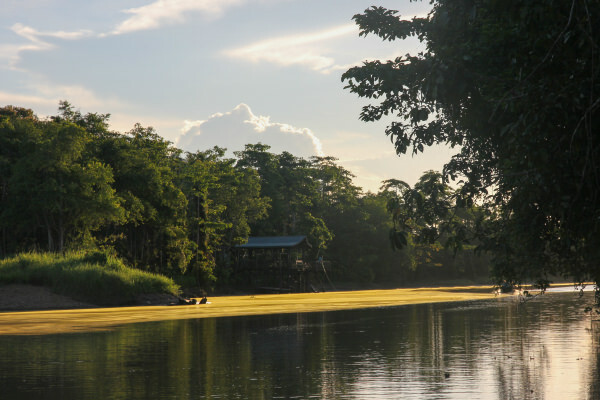 And consider a stay at the Gibbon Experience, which lets you sleep in treehouses high in the jungle canopy and fly around using zip-lines, giving you a unique perspective on the rainforest. 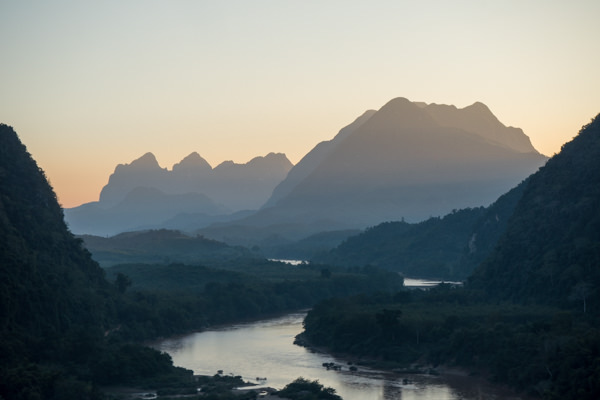 Go to Laos – you won’t regret it. Read more in my in-depth guide to Laos. I think of Vietnam as a conflicting place — one that can be both deeply fascinating and potentially frustrating at times. To start with the positives, it truly has some of the most vibrant cities around. 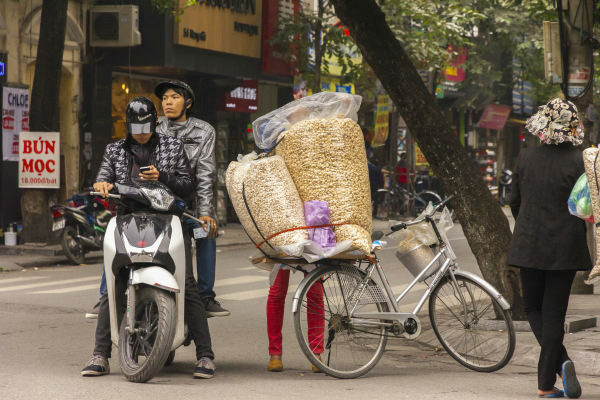 If you’re a bit of an urban explorer then you’ll surely love wandering around the leafy traditional capital of Hanoi, or the frenetic commercial capital of Ho Chi Minh City (a.k.a. Saigon). Snarls of scooters and small motorcycles will constantly pass you by, loaded with anything from construction materials to entire families. The local food markets are dizzying beehives of activity, enveloping you in a delightful sensory overload. But while the culture, delicious food, and history are a big draw, the Vietnamese attitude to tourism can be a bit off-putting at times. They just know how to package certain experiences in a factory-like manner, and if you stick too closely to the usual itineraries, you might soon feel like you’re just being rushed from one tourist trap to the next. 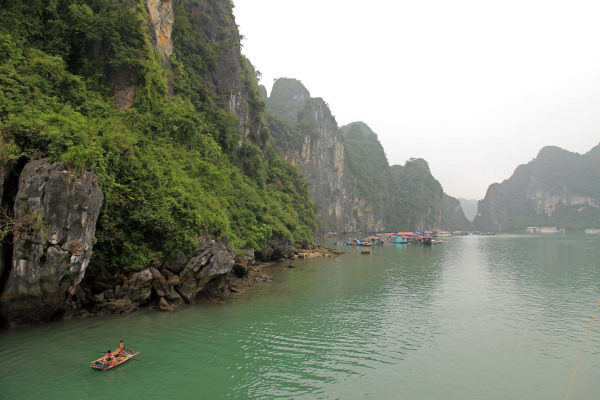 The cheap but cookie-cutter tours to places like the Mekong Delta, Halong Bay, or the Chi Chi Tunnels are not the best this country has to offer. For that, you should aim to explore independently. This is really the number one tip I have for Vietnam: going the DIY route for most of your sightseeing trips is what can make 100% of a difference in how you’ll experience this country. Possibly the best way to do this is to rent or buy a motorbike and go on a road trip. You’ll see a different — much warmer, much more human — side of Vietnam that many tourists in their mad rush towards Ha Long Bay won’t get to see. One unfortunate aspect of Vietnam is that scams targeting tourists are still a real problem, perhaps more so than in other countries. This is mostly an issue in the cities and key tourist sites. You might want to be on your guard a bit more, though don’t let a negative encounter ruin your entire experience. 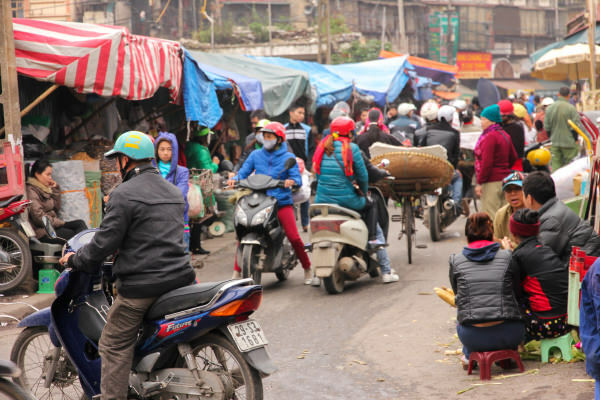 Again, if you avoid the standardized tours and venture beyond the usual top 5 places, you’re likely to leave with a far more interesting impression of Vietnam. For more tips, check out my Vietnam guide (due to be updated in 2019). There are essentially two big reasons why you’ll want to go to Cambodia. Firstly, there is the spectacular Angkor Wat, which is one of the largest ancient temple complexes in the world. This sprawling site can take days to explore properly, and it’s easily of the top sights in Southeast Asia. The nearby city of Siem Reap has become a fun-filled base from which to take excursions into the Angkor Wat archeological park. 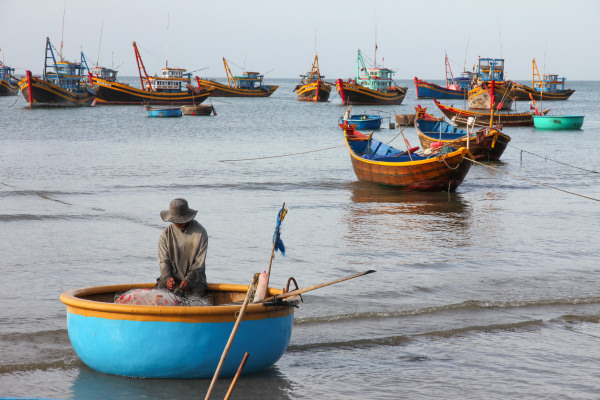 Secondly, Cambodia has some of the nicest islands in the region, which are still relatively underdeveloped compared to those in Thailand or Vietnam. Koh Rong and Koh Rong Sanloem (among other islands) have a funky vibe and their beaches are mostly unspoiled. It won’t stay that way forever, so go there now. Apart from this, Cambodia also has its share of quaint towns along the Mekong River with remnants of French colonial architecture. While the Cambodian government puts little priority on nature preservation, the country does have some amazing national parks; I especially recommend going to Chi Pat for excellent ecotourism adventures. Just a little tip, don’t bother with the resort city of Sihanoukville. It’s a bit of a dump, and anyone recommending it is just lazily copy-pasting information from 10 years ago. 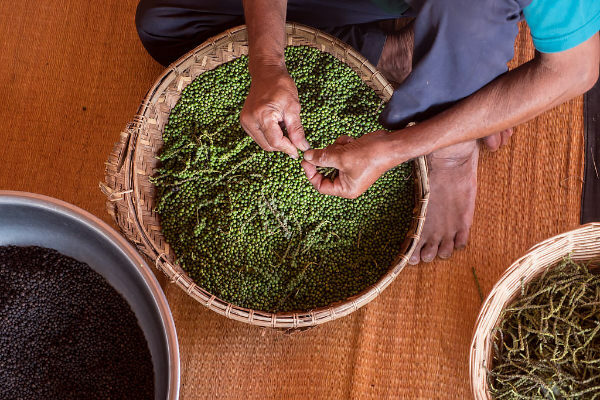 My guide to Cambodia has more tips on how to cherry-pick the best of Cambodia. While Laos, Cambodia, and Vietnam which were once colonized by France, Malaysia was once part of the British empire. That gives its historical cities a different character. 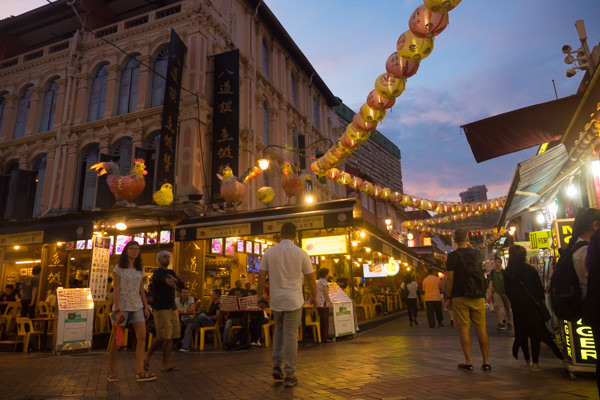 It also often feels more cosmopolitan and multi-cultural, home to a mix of Malays, Chinese, Indians, and various minorities. 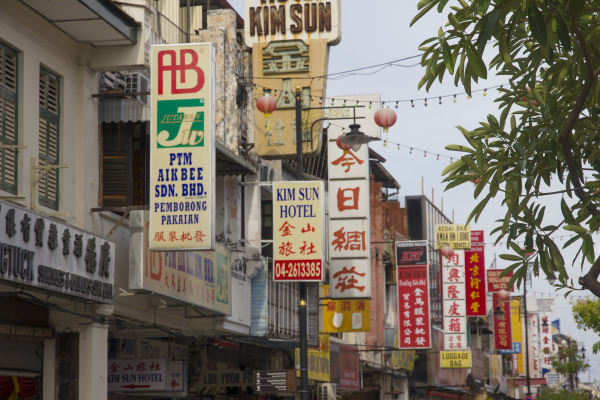 Malaysia is a bit more wealthy, orderly, and conservative than its neighbors. It may be lacking that rough-and-tumble feel, but it also means it’s not as over-the-top as Thailand. Its beaches and islands (such as the Perhentian Islands) are relatively low-key, and most of its other destinations are family-friendly and well set up for visitors. 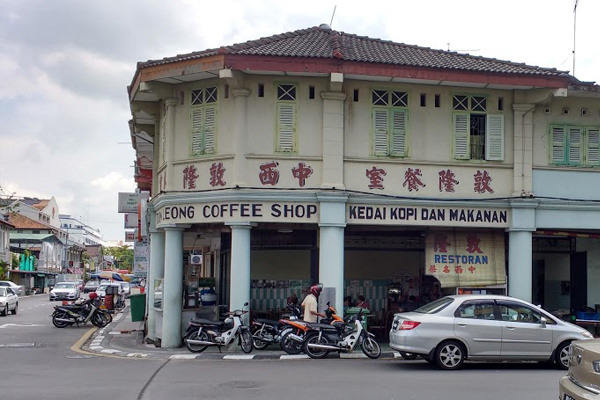 I have to say that my knowledge of Peninsular Malaysia is a bit patchy (despite two visits), though I think the cities of Penang and Malacca are very interesting. I aim to come back sometime to explore more areas off the western coast. As an adventure traveller, I was more enticed by the other part of Malaysia on the island of Borneo. I spent most of my time in the eastern state of Sabah, where you can climb Kota Kinabalu (the highest mountain in Southeast Asia), go scuba diving at Pulau Mabul and Pulau Sipadan (easily some of the best diving I’ve ever done), and visit national parks such as the Kinabatangan Wildlife Sanctuary (where even on a bad day you can spot countless monkeys, hornbills, crocodiles, and so much more). It’s all pretty damn epic around these parts! By the way, be sure to budget a bit more for Malaysia. Accommodation and food are great value, but local tours, hiking trips, or entries to national parks do add up a bit faster here. The city-state of Singapore makes for an interesting visit, given how strongly it contrasts against other nearby destinations. It’s spotlessly clean and high-tech, and is truly a world apart from all the chaos, smells, and congestion elsewhere. It’s a meticulously designed place, often making you feel as though you’re wandering through the glittering futuristic visions from an architect’s dream. The modern comforts can be a refreshing change if you’ve spent some time in less developed parts of Southeast Asia. 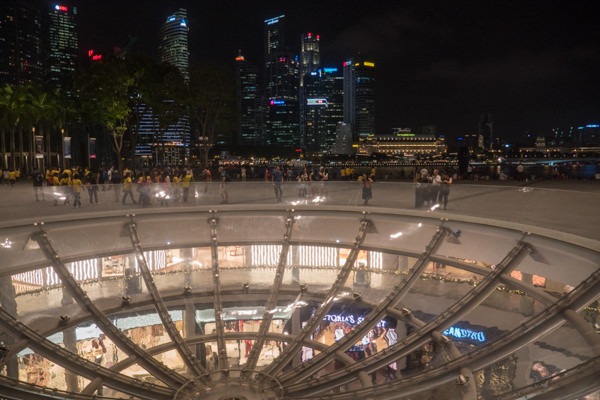 The food in Singapore is also phenomenal and no visit is complete without going to one of its many hawker centers (a type of food court) where you can sample virtually any Asian cuisine — very cheaply and with hygiene standards much higher than the street food in other countries. Singapore is an easy and comfortable destination, although much of the city can feel quite business-ey and too neatly maintained. It’s been getting more creative and vibrant though and it’s got plenty of interesting areas to check out. Singapore makes for a gentle introduction to Southeast Asia or can serve as a convenient pit stop on a larger trip. Do keep in mind that prices in Singapore (apart from the food) are essentially at Western levels. That doesn’t mean it’s impossible to stay there on a budget; I’ve listed some free or cheap things to do in Singapore. To state the obvious: Indonesia is huge. It is, in fact, wider than the United States. It’s so big that if you were to write a complete guide to Southeast Asia, you’d probably have to do a separate Volume II just to cover Indonesia. Most travelers focus only on a tiny part — the resort island of Bali — but beyond it lies a vast area to explore, with incredible potential for off-the-beaten-track adventures. 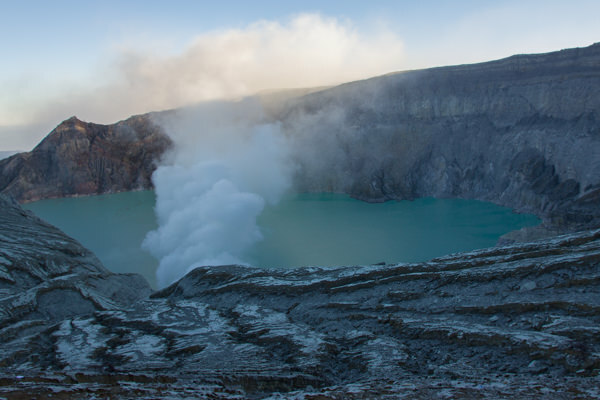 Blessed with 17,000 islands and numerous volcanoes, Indonesia is a prime destination for surfing, trekking, diving, and wildlife spotting (with a chance to see orangutans). It is culturally diverse as well, with different islands following the Muslim, Hindu, Catholic or Protestant religions. If you’re pressed for time, then spending a week on Bali is honestly not the worst idea. Its capital of Kuta may be nauseatingly commercial and focused totally on mass tourism, but dive deeper into Bali and you’ll discover plenty of beautiful Hindu temples, green rice paddies, and laidback beaches. 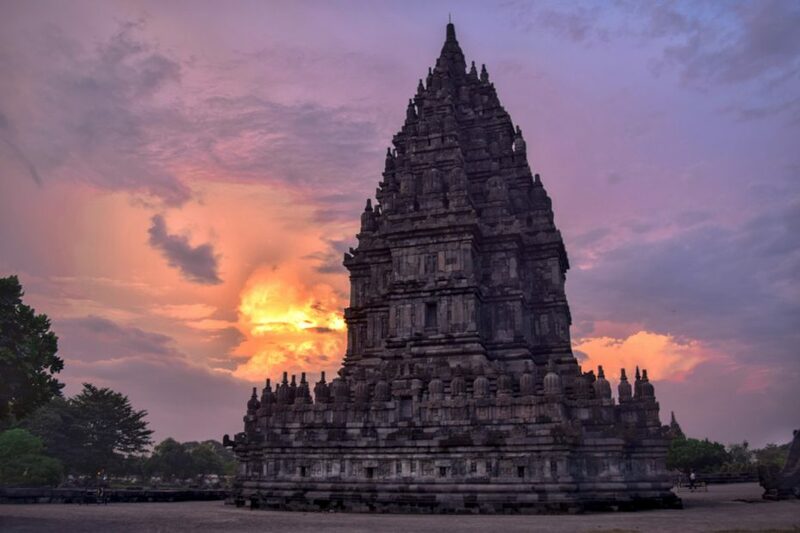 A typical longer itinerary has you starting in the city of Yogyakarta on Java, then visiting the ancient temples of Borobudur, the epic volcano of Bromo, and then ending in Bali. This post tells you, incredibly, how this can be done in one week — though I recommend at least 2 or 3 weeks for this route. Lombok, the island that is adjacent to Bali, is filled with surfer spots, waterfalls, and quieter beaches. Further east, I loved exploring rural Flores and seeing the Komodo dragons at Komodo National Park. So far I’ve been on two big trips to Indonesia, and I’m itching to go back. The next one will probably take me to the less-explored parts of Sumatra, Sulawesi, or West Nusa Tengarra. Indonesia feels to me like one of the final frontiers of Southeast Asia. The country seems oddly overlooked among travel bloggers (at least outside of Bali), but I’ll go out on a limb and say it’s one of the real highlights of Southeast Asia. For more, check out my run-down of all the Indonesian islands. This is Asia’s best-kept secret. I adore the Philippines and keep recommending it to everyone. Since many Filipinos speak fluent English, you can get a lot closer to the culture. I’ve found myself travelling together with Filipino backpackers, made friends in many villages, and sung karaoke with locals. Elsewhere in Southeast Asia the language barrier can put you in a bubble, but much less so here. I can’t emphasize enough how much of a difference this makes. The Philippines also happens to have the most amazing beaches and islands, hands down. The island of Palawan does seem to get a few too many tourists these days as word spread rapidly about the islands and lagoons around El Nido, though the crowds are also easily escaped if necessary by going to the nearby island of Coron or the small town of Port Barton. Fortunately, the Philippines has over 7,000 islands, so I don’t think it will be running out of amazing spots any time soon! Palawan is definitely beautiful but my personal recommendation is to go to the central Visayas — particularly islands like Bohol, Cebu, Siquijor, and Camiguin. Besides beaches, there are more diverse activities there and you’ll probably have a better chance of getting to know the local life. 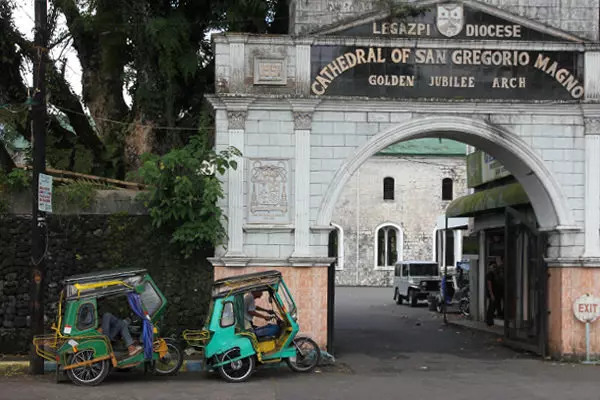 The Philippines used to be a Spanish and then an American colony, which is reflected in the religion, architecture, and language. The food does take a lot of inspiration from American fast food or Spanish asado and seems less concerned with Asian spices. That’s a bit of a bummer, though this is also clearly a matter of taste. 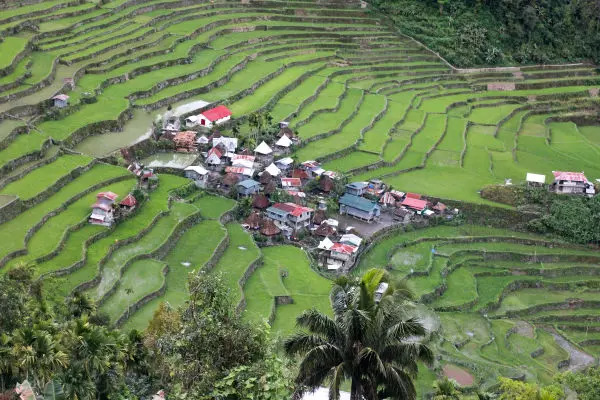 Thanks to its incredible islands, stunning rice terraces, volcano hikes, lovely people, and a fascinating cultural melting pot, I think the Philippines is a genuine highlight. One tip though: it’s worth departing the capital of Manila quickly, as it’s super congested and not very nice. Be sure to check out all of my articles on the Philippines. 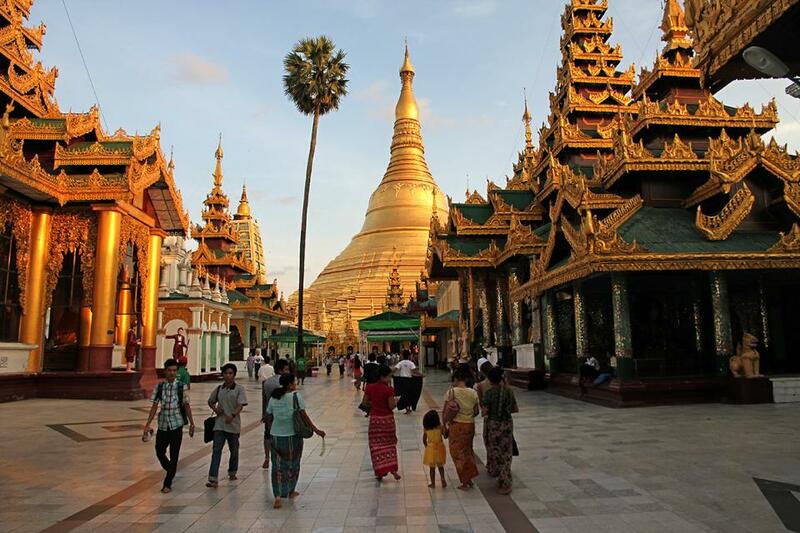 Myanmar is a relative newcomer to the Southeast Asia backpacker circuit, as prior to lifting of international sanctions in 2012 it was difficult to go here. While it’s been rapidly opening up, you’ll still find authentic culture and a relative lack of cynicism towards tourists in Myanmar. The thousands of ancient temples at Bagan provide some true pinch-me vistas, particularly at sunset. Burmese cuisine is hugely underrated and a foodie is going to have a great time. Take a train at least once: the creaking old carriages are something to experience. Putting a slight damper on things more recently is the government’s prosecution of the Royingha minority, which the UN has characterized as ethnic cleansing. Myanmar is clearly going through some tough issues right now, although boycotting would also hurt the incomes of many locals who are entirely uninvolved in these events. 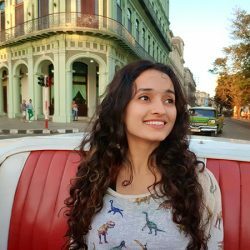 The travel community is often bitterly divided on these issues and I think it should probably just be up to the individual. Recent headlines aside, Myanmar is a really pure travel destination without any party scene and barely any beach resorts. Until recently, it was even entirely untouched by globalization (though the first Starbucks popped up in Yangon in 2017). Much like Cuba, it’s a see-it-before-it-changes kind of place. You can read my tips for travelling in Myanmar, including information on how to get visas and which areas of the country are permitted to travel in. Apart from going to the countries you think will be interesting, another factor to keep in mind is the cost of travel around Southeast Asia. 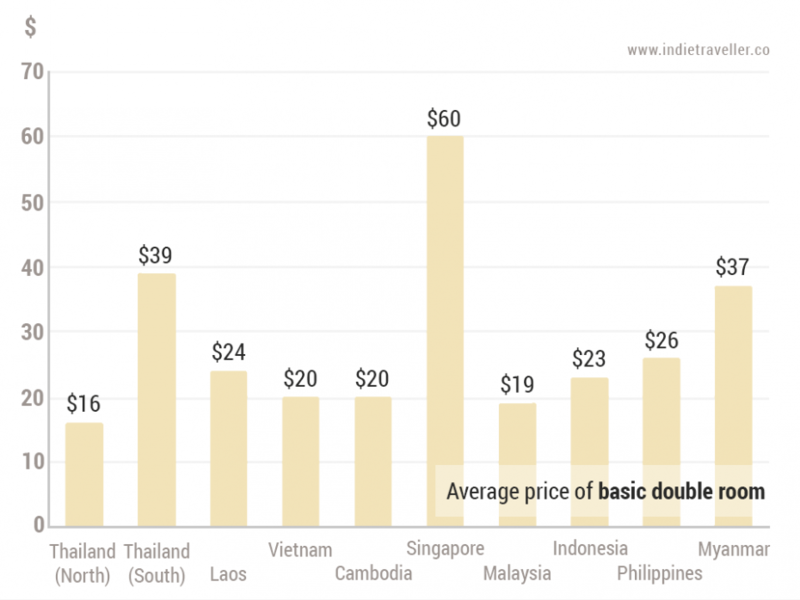 Not everywhere in Southeast Asia is equally cheap. 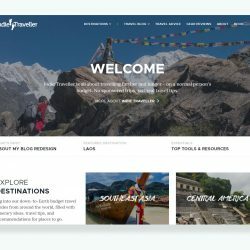 Be sure to check out my Southeast Asia backpacker budgets along with average accommodation prices and up-to-date costs for various popular tours, trips, and park entries. If you’re on a shoestring budget it’ll be easiest to stick to northern Thailand, Laos, Vietnam or Cambodia. These countries are the cheapest (aside from the Thai beaches) and they also form quite a compact circuit, cutting down on transportation costs. If you have a little room in your budget, then other destinations will give you excellent value as well. Countries like Indonesia or the Philippines are formed of islands and are more fragmented, so keep in mind you may have to budget a bit more for flights there. As should be obvious… Southeast Asia is a big place! If you’re feeling a bit overwhelmed while planning your trip, that’s understandable (trust me, I’ve been there). Fortunately, I’ve also got something that can make things a little easier. My in-depth guide to traveling will help you plan, pack, and prepare for your trip. Readers have said it feels like having a friend sit down with you to mull over your travel dreams and turn them into real plans. With my expert guide, you’ll be able to better research your destinations, create a realistic but adventure-filled route, and prepare yourself for anything Southeast Asia might throw at you. 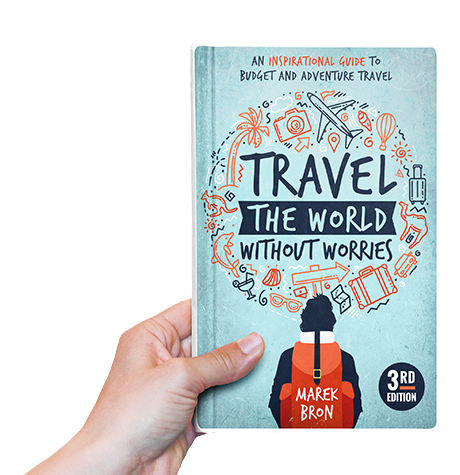 While it can be used for travelling anywhere, the book is filled with many lessons I learned (sometimes the hard way) while traveling around Southeast Asia for many months on end. You can check it out here. P.S. I’ve not yet been to Brunei or Timor-Leste! Perhaps I’ll have a chance to add these countries here in the future. Yeah that one’s technically part of South Asia 🙂 It’s still on the list for me to go to! 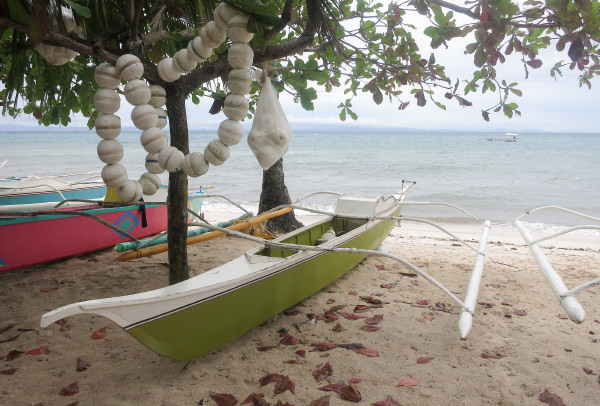 Many thanks, Marek for your quick reply about children-safe beaches in South East Asia!! Not really sure, sorry Ana! 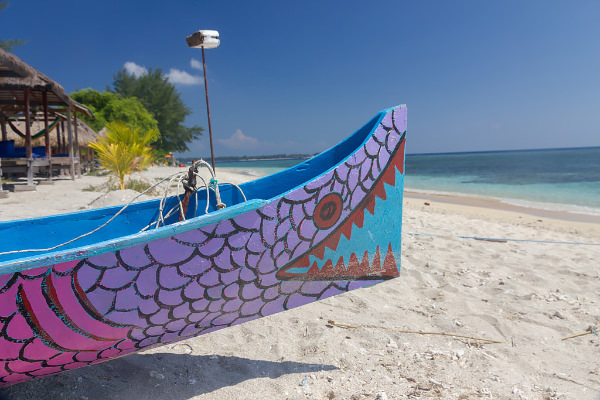 I only know that Sanur on Bali is known as a very safe and family-friendly beach. I think it’s also a pretty lame beach though (not very scenic) but not sure what alternatives to suggest. No real security issues in Myanmar that I’m aware of for visitors (despite recent political issues). The temples of Bagan are fantastic. 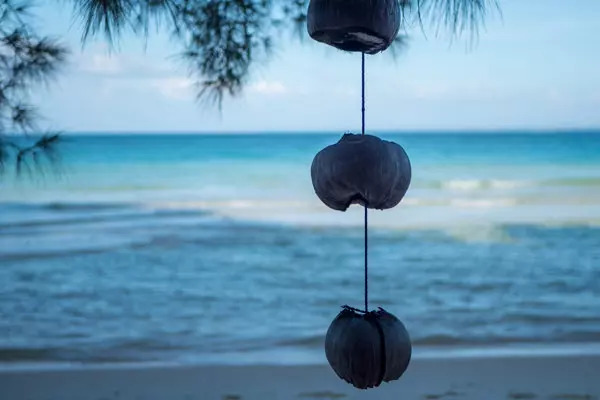 Without knowing you it’s very hard to say whether Thailand or Bali is a better bet – some people love one but not the other, some people think they’re too touristy while others relish the ease of travel in these places! Hi, thank you so much for your really detailed articles, they have got me so excited to travel SE Asia in the autumn! I’m heading to the Philippines in November, but I was wondering if you had any advice as to where to travel in September-October? I didn’t realise that it was still off-season, and I was set on going to Vietnam-Laos-Cambodia, but I’m a bit worried about the rain! Any advice will be welcome! You could have a look at Indonesia as it’s in the dry season then. Or you could do the countries you mentioned but go north (instead of south / beaches). There’ll be somewhat less rainfall there, but also more city stuff / cultural sights that don’t rely on perfect weather. Very informative and helpful! I’ve been reading lots of blog for southeast asia and most sounds so judgemental but this blog was so good. Thanks! Thanks Maria, happy it’s been helpful to you! What a great site! Thanks for the info. Our family of 5 with kids 5, 8 and 9 want to travel to SEA from NZ in january for 2-4 weeks. Weve been to many pacific islands so not fussed on beaches this time more interested in kids seeing some amazing history, culture, wildlife etc. They are quite adventurous and have done a lot of hiking. Which country would you recommend? Thanks! Hmmm. Northern Thailand, Laos, northern Vietnam are great for hiking, outdoors adventures, culture, etc. I would think Bali (the interior) or Malaysian Borneo could be good for a family holiday too (with wildlife, volcanoes, temples, etc). your blog is amazing!! Thank you for all of the helpful information. We are panning to go to SEA from mid July to mid August for a month more or less (maybe 35 days if we can). I am aware of it being the rain season, but it is our only option for the moment. I would deeply appreciate your help on planning our itinerary, since I would like to make the most of our trip taking the weather into account. Our interests are hiking, nature, exploring culture and history, and food. We want to travel lightweight, and are on a budget. So the first thing to ask would be, which country is the best to visit during this season? I am really torn between Thailand, Vietnam and Cambodia. Any other advice or information would be very appreciated. Thanks in advance, lots of love (L). Hey Irene. All those countries you’ve mentioned are great! There’s generally less rainfall in northern Thailand/Vietnam than in the south though. I’d maybe check out the rice terraces in northern Vietnam as they’ll be lush and green around this time. Hanoi is also amazing in any kind of weather. The mountain scenery in northern Thailand, Laos and Vietnam is great for hiking. So I’d probably start looking around those parts. Just my 2 ct of course, hope this helps! Hi there! This is Claudia from Italy/Spain! I’m doing South East Asia from 01/06 to 08/08 so two months!! I had the following route in mind (in sequential order): Thailand, Myanmar, Laos, Vietnam, Cambodia, Malaysia, Singapore, Indonesia and Philippines. This would mean roughly 7 days per country on average (does not mean i will spend just 7 days in a certain country). Do you think this is enough time per country, and in general, do you think 2 months is enough time of travel for the 8 countries I listed? I am scared of over planning and i really don´’t want to put THAT much on my plate otherwise I wont fully experience the bag packing feeling! In case you think 2 months is too little for these 8 countries, which countries would you NOT do, and leave them for some other time to discover? Thank you so much for the information posted. By far, the best website I’ve found when doing my research! Best of luck to you. Hey Claudia! You can do it if you really wanted to, but it’s a very intense schedule so personally I would choose fewer countries (and get more of that backpacker feeling)! It’s hard to say which countries not to do though as I like them all. My favorites are Laos, Indonesia, and the Philippines but it can be very different for everyone. Love your articles. 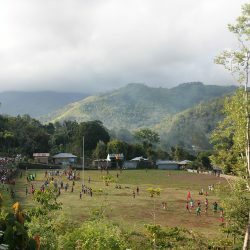 we are planning 6 weeks in SE asia this summer with our 13 and 4 year old boys. (did 6 months in india with our eldest when he was 4 so used to travelling with kids). Both. any advice on what’s good to see? need to try and mix it up -culture, history and some beach life for the boys! Hi Marek, thanks for the very detailed article. The Philippines was not something that I had considered until this article. Where would you recommend in the Philippines for one week in early June? I’ll be coming from Ho Chi Minh City and departing for Singapore. Palawan seems like the best destination, but Bohol/Cebu is easier/cheaper to get to. I would ideally not like to stay in an area where it is too westernized. Thanks! Yeah, Palawan is good, but I do hear it’s gotten too crowded lately. I highly recommend Cebu/Bohol! Different line of questioning. I will be studying abroad in the Fall and am heavily contemplating Malaysia, Vietnam, Thailand & Cambodia…I’ve ruled out the others (Indonesia would have been my first choice otherwise) just because they don’t offer any programs with the courses that I need. Since you have traveled pretty extensively in Southeast Asia I am curious as to which of these countries you think you could have stayed in for 3 months or more. I am a bit put off by Thailand…it seems to have been exploited for tourism and not a place that will offer an authentic cultural experience (that also seems to be the case for Vietnam) nevertheless I would still like your honest opinion as to which of these countries resonated with you the most and is the most pescatarian friendly. Access to pescetarian/vegetarian food (I don’t mind meat based broths/stocks) is actually really important as I had a really difficult time the last time I studied abroad and would like to eat the local food as often as possible. As long as there is opportunity for adventure, music and food I am open. Also India is an option if you have been there. Hey Sherley. Great question (it’s not one I get usually!). There’s a big difference in visiting a place briefly and staying there for several months. Thailand is very touristy but that’s much more easily avoided when living there. But anyway, I’d maybe look at Vietnam. I know a few digital nomads and expat friends who taught English there and loved it. Ho Chi Minh City seems quite popular among those who are staying longer. Plenty of seafood & veggie there too. If you’re staying somewhere for a while, you can definitely find the authentic cultural experiences – more time to make local friends! Much appreciated is your quick and helpful reply! Thank you! It’d difficult to say not knowing what kind of stuff you’re into! But I recently traveled in Laos again and it’s amazing for nature, trekking, and culture. Hi Marek! This is Tomas from Portugal. I am currently planning a trip to SEA and your website is packed with solid insights! I need your opinion if possible. Im planning this trip to visit as many countries possible but I dont know whether to do 2 months of travelling or 3 months of travelling. What do u think best? Taking into consideration it would happen between May to July or to August depending on the duration of the trip and the expenses attached to such an adventure. Just need a break from this corporate world! Thank you!! I guess you are right!!! Flexible ticket sounds like the best option; better intensify my saving mode then!! Which country would you start flying in? It would make more sense starting in Myanmar and then start the quest down south no? All the best man! There are countless possible routes. 🙂 Myanmar is not a bad place to start! It’s full of cultural highlights and isn’t as touristy yet as some other countries. Thanks a lot for the ton of information provided on your blog. I’m still looking for a little bit of advice tho, I’m planning a solo trip to SEA and am looking to land in Bangkok mid-August and I plan on staying either 3 or 4 weeks. I’d like to avoid mass tourism and fly-and-flop holiday-resorts, I’d like to spend most of my time in nature and I am also interested in Buddhism, that’s why I was thinking of heading to North-Thailand first and visit Sukhothai, Chiang Mai, Pai, Pan-Ung, Mae Hong Song, Chiang Dao, etc. 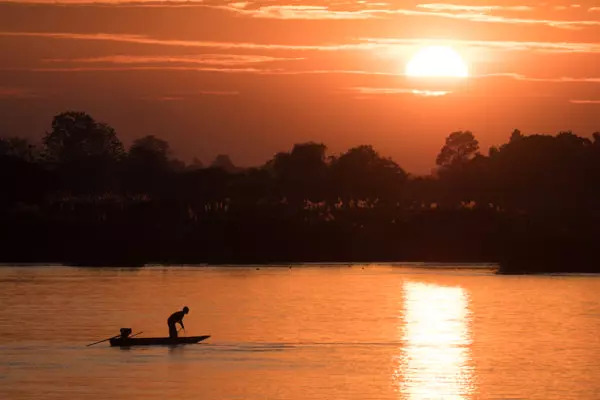 From Chiang Rai I’d like to get to Luang Prabang with the slow-boat (which somehow sounds appealing to me), sadly enough there’s not that much in Laos that sparks my interest (except the slow boat, LP and maybe Kuang Si Waterfall), also I’d like to see a part of Vietnam. On top of that I need to end in Bangkok to get my flight back. I know this is a little bit too much for 4 weeks so that’s why I’m asking for your opinion on what things I might better drop and also what part of Vietnam you recommend me to visit. Hey Jordi. Judging by the places you mention for northern Thailand, maybe you’d actually like northern Laos a lot. Have a look at Nong Khiaw for instance, perhaps it’s a place you’d be into – calm and a lot of nature. (What I have about Laos on my blog is in dire need of updating! I’m working on this right now.) I think the nicest part of Vietnam is the north, in and around Hanoi, so if you can fly back from there to Bangkok you’d have a really nice route. Try to do 4 weeks though… 3 weeks is going to be very tight for all of these places. I have read through many blogs and I’d agree with the comments made by others that your blog is one of the most complete blogs I have had the opportunity to read and find use of. I am currently 2.5 months in on a 5-6 month sabbatical traveling around the globe to take a break from the corporate world. I have traveled to 18 countries and 24 cities chasing the summer so in October I will do 1 month in Asia and your descriptions and references have made me a bit more confident about my plans there(Dont overplan, relax and go loca<—GREAT ADVICE), which are a bit less hectic than the previous 2.5 months I've traveled (longer periods of time in one place is better). BTW- I will be in Lisboa for 6 days next week so your advice there is also great! Maybe we'll run into each other if you are there! I am planning to travel around Southeast Asia and I need some advise on the logistics part. My plan is to fly in to Thailand and travel to Vietnam through Cambodia for tha first part. Do you by any chance know or do you know where I can find out if there are any train services from Thailand to Vietnam and where the stops are? And for the 2nd part I am planning to fly from Vietnam to Singapure and make my way down to Sumatra, Java, Bali and/or Borne? Do you know if there are any public transport between the islands? Thanks for you help! I really appreciate it! Hey Barbara. There are unfortunately no train services in Cambodia. This map shows you the routes. This map is very good and your blog is very helpful! Thanks for all the hard work you put into it! Very useful guide. I especially enjoy your section about getting off-the-beaten. Parts of the charms is really how rural some parts can be, like Ha Giang in Northern Vietnam and West Sumatra in Indonesia. Beautiful region, I must say! Hey Marek, your blog is amazing! It’s really interesting and informative. im a 16 yo Indonesian, and im planning to go backpacking with my friend to other Southeast Asia country next year, but we’re still thinking about which country. Any reccomendation or tips? Thanks! Thanks Rangga! Oof, that’s a difficult question. It depends on what you like. 🙂 I recommend reading a lot about each country and going to whichever country has the most of what you’re looking for. Since you’re already from the region, I don’t know what would interest you most. Hi Marek, I was wondering if you could give me suggestions for Myanmar. I think I will only have 6 nights, maybe 8 if we are lucky, but I want to be able to get the most out of my experience. Thank you so much 🙂 Your blog is amazing, by the way…. Its Nacho, from Spain. Firstly I want to thank you for making this amazing website, it is the best I found. It is helping me a lot to plan my trip, so thank you!! Well, I am planning a solo trip to Thailand, Laos, Cambodia and Vietnam, do you think three months is enough time to get a good taste from these countries? 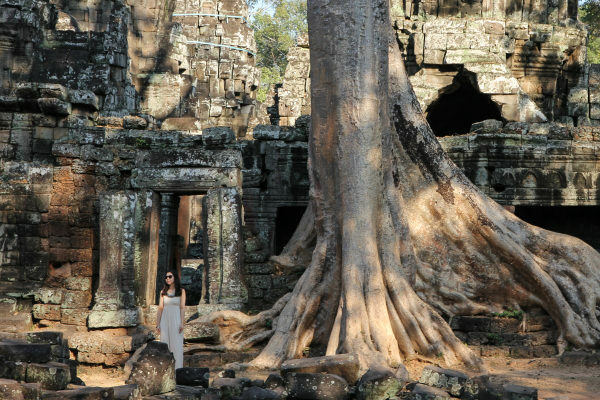 I am not interested in highly touristic places, but I know I will go to some of them such as Angkor Wat. I have a couple of questions for you: which hostel do you recommend me for when I arrive in Bangkok? I would love a social hostel with a good atmosphere where I can meet fellow travellers. Is it necessary to prove you are leaving the country in one month to get your visa in Thailand? Thank you so much! Good luck with your future travels!! I think you can get a great taste of these countries in 3 months. It’s more or less the perfect amount of time. I have some hostel recommendations on my Thailand page. I like Suneta, which is very cosy and friendly, though it is a bit small / boutique-style. If you’d prefer a bigger hostel with maybe not as much character but with definitely a lot of people, Lub D is a good bet. Good luck and have an amazing trip! Great stuffs! Your site does stand out and thanks so much for the great info ! I had been living in HK so have been to all the popular places and find that I always go back Thailand for it’s food and ppl and Phuket. My bf will join part of my trip next month, and prefers to explore other countries other than Vietnam and Thailand where he has been. Your website is very helpfull, thank you very much. I am planing a four month backpack trip through Asia (and hopefully Australia.) I have way to many places i want to see, so i know i have to save a few for the next adveture. I know it depends on the city and the traveller, but i was wondering approximately how many days you would recomand in each city? Do you think a week would be enough in each city? It all depends. For instance, some people could easily spend a week in Bangkok, but I would probably leave after a couple of days and head towards some nature, beaches, or just a more relaxed city like Chiang Mai. If you want to get to know a place really well then a week is perfect. But you don’t have to decide this all in advance. You can just go and play it by ear, and stay longer or move on depending on how you feel at the time. In Southeast Asia, this is really easy to do. Awesome article!! I went to Thailand for a month then off to China and South Korea for a couple of weeks in spring 2016 and fell in love with the region! Im planning a return trip spring 2017 & want to do Vietnam/Thailand again (for songkran 2017, I went this past spring and it by easily the most memorable days in my journey and some of the best days of my life! )/ Cambodia/ Bali & Gillie T & would like to finish off in Philippines. Just beginning to somewhat organize my trip and this has been extremely helpful! Love this blog! I am going travelling this year and will be starting in Oz then going to Asia but have no idea where to even start! This has helped me loads! Thank you so much. Splendid stuff ! Super useful ! Thanks for the effort ! Great intro summaries Marek. I have to say, I’m so surprised at how many people felt Vietnam had a rip-off culture. I travelled there for a month and have not felt it at all, and definitely less than in some other countries in the region, i.e. Thailand. My experience was actually opposite – Vietnam was one of the few places where locals we met on the road invited us for dinner, fed us, gave us beer and asked for nothing in return. Maybe we were lucky but I loved travelling around Vietnam. Very detailed and extremely hepful blog,thank you.